Learning how to check out library books online for free is a great way to make it more convenient to get new reading materials for everyone in your family. Every parent knows that reading to your child on a regular basis is the best way to encourage the development of strong literacy skills. However, it's simply not practical to buy every book that catches your eye. This is where the public library comes in. Your local library is a treasure trove of reading materials for all ages, including plenty of great books for you to enjoy while your children are napping. 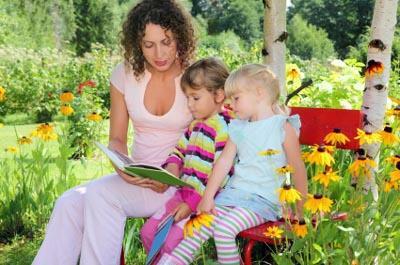 Unfortunately, many parents of young children find themselves avoiding regular library visits. By nature, children tend to be a bit noisy. Since libraries are supposed to be quiet places, many parents refrain from taking their kids to the library due to fears about disrupting other patrons. In addition, trying to find a specific book in the library while keeping an eye on little ones is quite challenging. Avid readers often get lost in thought when choosing a new book, which makes it hard to watch an active toddler or preschooler who views the library as a fun new playground to explore. In many cases, you can limit your search only to return results for books that are currently available for checkout. Then, when you find a title you are interested in, all you need to do is enter your library card number to place a hold on the book. It should be ready to be picked up at your convenience. Not exactly sure what books you want to check out? Many libraries have Web sites with lists featuring the current New York Times bestsellers, popular local titles, books for specific age groups, books with seasonal themes, or the librarian's personal recommendations. Browsing through these sections of your library Web site may give you some ideas for books you might not have previously considered reading with your children. If your library doesn't offer an online checkout service, you may find it useful to simply call a day or two before your visit and request that the library pull the books you want from the shelves. Librarians, especially those who have young children themselves, understand that it's hard to control small children in the library while you're trying to look for a specific book. They will be happy to do what they can to make it easier for you to get the reading materials you want.